At Red Hat, we believe that good ideas can come from anyone, anywhere, regardless of the job title or ranking in the hierarchy. Diversity fuels our meritocratic culture by bringing in many perspectives and ideas, challenging our assumptions, and inspiring innovation. 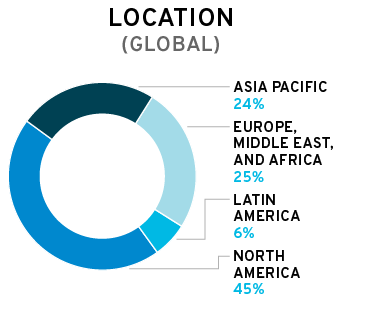 With 85 offices worldwide, plus 25% of Red Hatters working remotely, we work collaboratively in globally distributed teams. 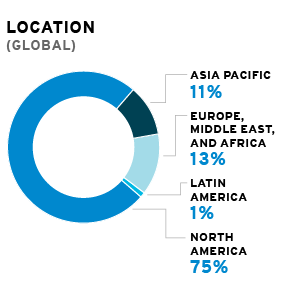 Our projects benefit from having many different cultures and perspectives at work. It helps us refine our ideas and gives us a better understanding of our customers and the world. We want everyone to feel comfortable contributing, so we take an open and inclusive approach to communicating, collaborating, and making decisions. Our efforts to cultivate diversity and an inclusive environment go beyond our own company to reach open source communities and the broader technology industry. Celebrating women making a difference. Inspiring women to get involved. 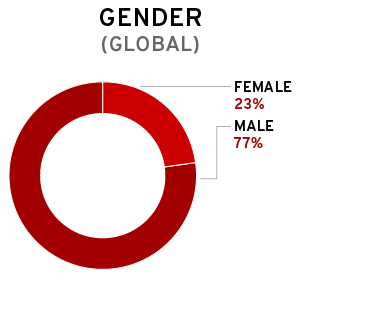 Red Hat is an advocate for diversity in open source. 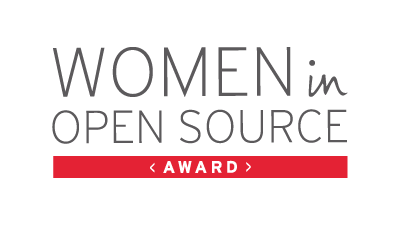 We created and sponsor the Women in Open Source Award to recognize women who make an impact and encourage future generations to join the open source movement. 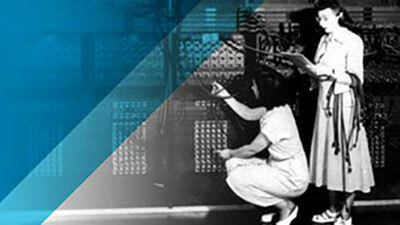 In the 1940s, 6 women programmed the ENIAC, the world's first electronic computer. It took 50 years before they were recognized for their work. The Women in Open Source Award helps us shine a spotlight on women's contributions to the future. Meet our 2017 Women in Open Source Award winners: Avni Khatri, president of Kids on Computers, and Jigyasa Grover, a student at ​Delhi Technological University. In a traditional organization, someone might have reprimanded me for going straight to a director-level expert instead of the bottom of the chain of command. But at Red Hat, people of all positions are willing to help and offer their own ideas, especially if you approach them with genuine curiosity. At Red Hat, we know that we can do more as a community than as individuals. 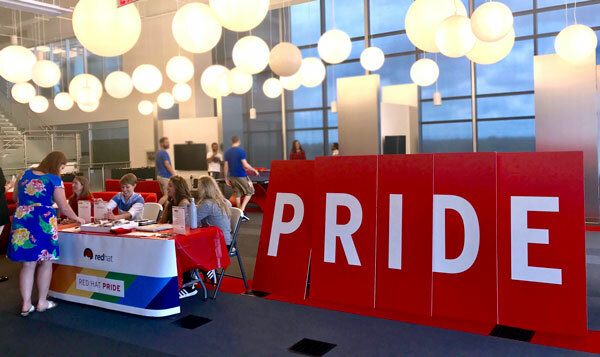 Red Hatters join diversity Diversity + Inclusion Communities—also known as affinity groups or employee resource groups—to celebrate our differences and shared experiences. Red Hatters in Red Hat Pride join together to support each other and have fun. This group can often be found volunteering for events like Out! Raleigh, playing on intramural sports teams, and more. 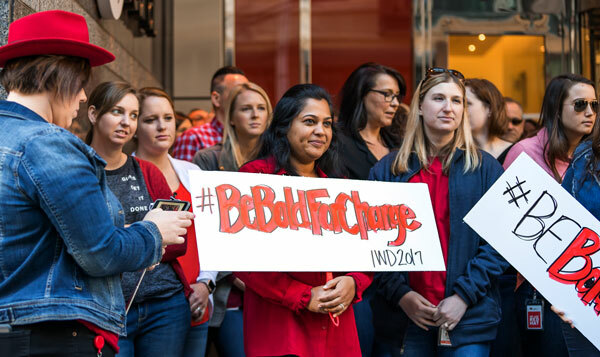 The Women's Leadership Community is a thriving, global network of women from all over Red Hat. From Raleigh to Pune, community members come together to share ideas, engage in discussions, and attend leadership and educational events. Blacks United in Leadership and Diversity (B.U.I.L.D.) exists to foster a connected community of Black Red Hatters and their allies. 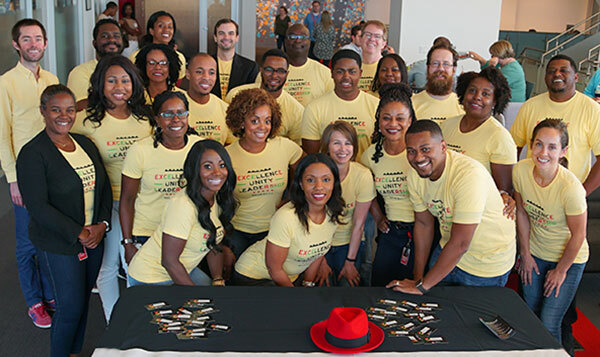 It supports Red Hat’s efforts to recruit, develop, engage, and retain Black associates through community outreach, social engagement and professional development. Event sponsorships and learning opportunities. You'll find Red Hatters sharing opportunities in open source and hosting hackathons for students, veterans' events, Historically Black Colleges and Universities, and in our offices. 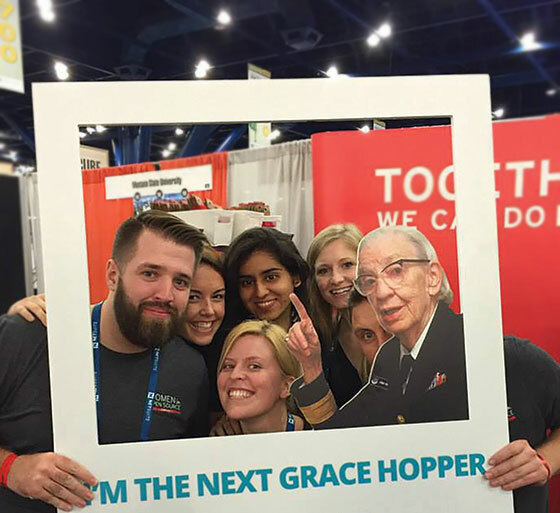 Since 2014, we have sponsored Open Source Day at the Grace Hopper Celebration of Women in Computing. Red Hatters mentor for Outreachy, which helps people from underrepresented groups get involved in open source. Outreachy internship opportunities are open to women (cis and trans), trans men, and genderqueer people internationally, plus U.S. residents and nationals of any gender who are Black/African American, Hispanic/Latin@, American Indian, Alaska Native, Native Hawaiian, or Pacific Islander. At Red Hat, we value diversity, inclusion, and equality of voices — not only for Red Hatters, but also our partners, customers, the broader technology industry, and the communities where we live and work. Our business is deeply rooted in the principles of collaboration and inclusive meritocracy, where good ideas can come from anywhere, and the best ideas win. We strive to cultivate an environment where diverse groups of people from all walks of life come together and use their strengths to contribute, share ideas, challenge the status quo, and spur innovation. We support initiatives that promote inclusion and equal opportunity, and not division or discrimination. At Red Hat, we believe the more diverse we are, the better we can innovate, serve our customers, and contribute to the open source communities in which we participate. 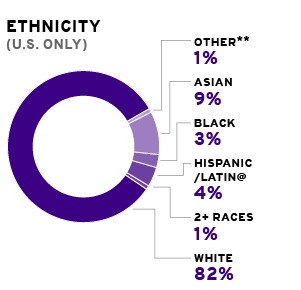 We're working to be a more diverse and inclusive company. Red Hat encourages a creative, culturally diverse, respectful, and supportive work environment where individuals have an opportunity to build rewarding careers. 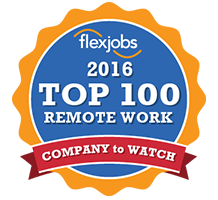 This includes paying all associates equitably for comparable roles, skills, and experience. View our 2017 and 2018 UK Gender Pay Gap Report and learn what we're doing to support gender equality. * Data is from February 2018. Data for gender represents the global Red Hat population. 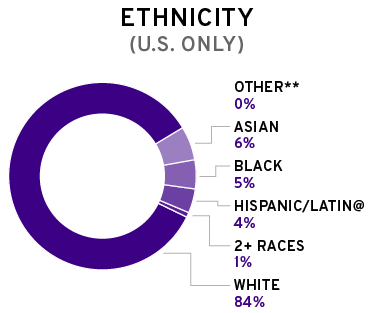 Data for ethnicity represents only the U.S. Red Hat population and terms reflect the US government reporting requirements. Percentages may not add up to 100% due to rounding. ** Other includes American Indian, Alaskan Native, Native Hawaiian, and Pacific Islander.